Indeterminate. Regular leaf. 85 days. Large, garnet- red beefsteaks with deep olive green shoulders. 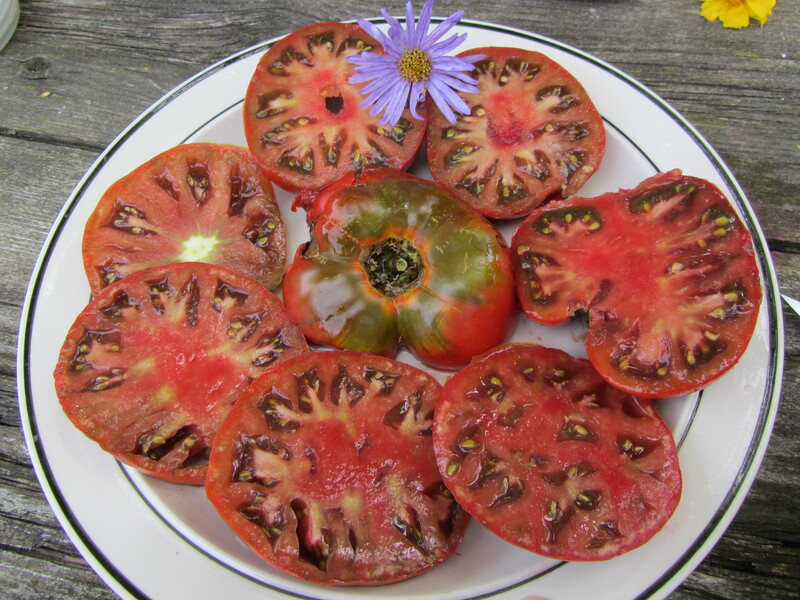 This is one of the prettier tomatoes grown here in 2014. Flavor is excellent. They are a real joy to behold when sliced open to see the swirling color combinations. Good juice content with very nice sugar / acid balance.